Do you have a business where your office is a large building? What about a home? Do you own your own home? Many times you look out your window, and wish that you could get it clean. Over time, your windows become dirty. Different weather conditions can lead to that, but so can birds and different types of bugs. There is nothing that you can do to stop nature. In the end you are going to find that your windows are going to get dirty. You should know that you do not have to put up with that. There is something that you can do. J&J Window Wash can help you. When it comes to window washing there is no one else that you would rather have on your side. J&J Window Wash has a passion for cleaning windows. They pay very close attention to detail when it comes to cleaning your windows. They make sure that they will leave your windows streak free, dip free and hassle free. When it comes to the quality of your business, you deserve the best. Make sure that you hire the best to help you out and get your windows looking like new again. 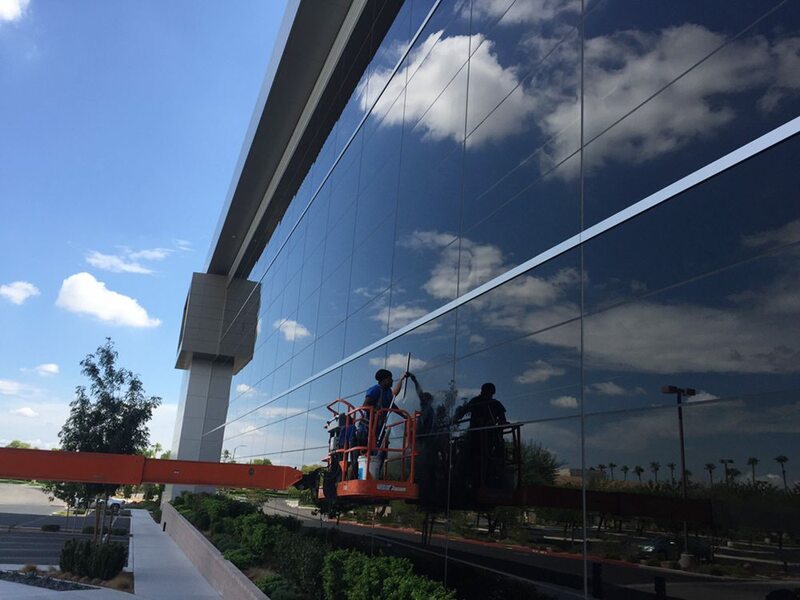 If you need your windows cleaned, contact J&J Window Wash—your Las Vegas Window Cleaning company—today.